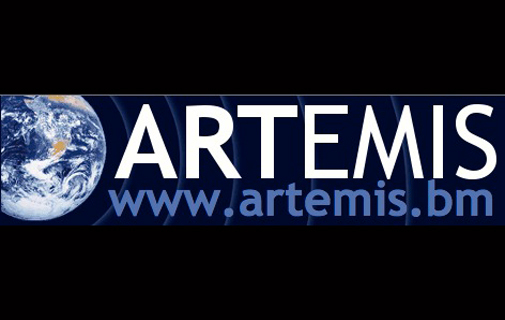 Artemis.bm, the world's leading source of news, analysis and insight on the growing insurance-linked securities, catastrophe bond and non-traditional reinsurance capital markets, has recorded $6.24 billion of new catastrophe bond issuance and insurance-linked securities issuance so far in 2013. Artemis.bm has the most complete, free to access record of transactions in the catastrophe bond and ILS market and has been recording market transactions since 1996. The Artemis Deal Directory is the go-to source for much of the reinsurance-linked investment community when looking for details of transactions and has been visited by readers more than 100,000 times this year already. With 2013 catastrophe bond issuance already confirmed at $6.24 billion, with another $175m transaction currently in the market, it looks like the market could see issuance approaching $8 billion for the full-year. This would bring 2013 catastrophe bond issuance close to, or even above, the record issuance seen in 2007. The catastrophe bond market has already broken one record in recent weeks, reaching a size of $19 billion of outstanding catastrophe bond risk capital for the first time in its history. Steve Evans, owner and editor of Artemis.bm, commented; "The cat bond market reached $19 billion in size for the first time in September, a record size for the market. The market jumped to approximately $19.488 billion in size today, with the completion of a recent deal, and now looks set to hit at least $19.663 billion in size by the end of the month, once the latest cat bond to come to market completes." With investor interest in catastrophe bonds and catastrophe reinsurance as an asset class at a high, as the market becomes a generally accepted alternative asset class among the global institutional investor base, 2013 could see record levels of issuance and the market grow much larger. Steve Evans continued; "The pipeline for new catastrophe bond deals looks strong for the rest of the year. There are a number of deals which are likely to be renewed as well as some first-time cat bond sponsors waiting to bring deals to market." "How much issuance we see in 2013 could be dictated by the ability of the market to close deals before the 31st of December. The market could see a flurry of transactions which may leave some to complete in 2014 as brokers will not want to overload the investor community with deal terms," said Evans. The catastrophe bond and insurance-linked securities market has been growing strongly in 2013 as catastrophe risk gained acceptance among investors as a viable, relatively-uncorrelated alternative asset class. With as much as $50 billion of capital from institutional investors currently in the global catastrophe reinsurance market and predictions for much more capital to flow into the space over the next few years, this sector is one to watch. "One thing is for certain, whether we see a record annual total for 2013 catastrophe bond issuance or not this year we will end the year with the catastrophe bond market at an all-time high. Whether that high is $20 billion plus, the next milestone, remains to be seen, but at Artemis.bm we are quietly confident that issuance will meet expectations during the remainder of this year," finished Evans.